SMS marketing is all about growth. Failure to add valuable and qualified subscribers to your list results in a lack of offer redemption and eventually, increased opt outs. Long term, this proves for an ineffective marketing solution. At Slick Text, we provide resources to help our customers grow their list. Our learning tools expand on everything you need to succeed at SMS marketing. 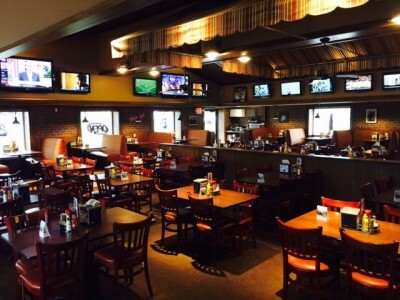 When we first partnered up with Wing City Grille, we wanted to focus on one thing, and one thing only: list growth. 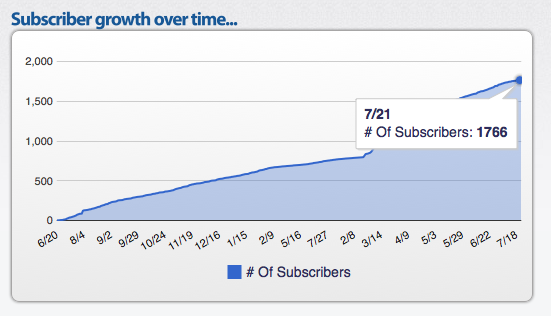 Without qualified and loyal subscribers, SMS marketing is borderline pointless. 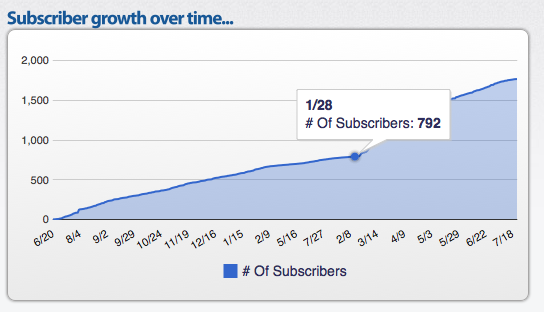 On January 28, Wing City Grille had organically collected 792 subscribers. This was an awesome start, but we saw a huge opportunity for growth. A couple promotional tweaks and several months later, Wing City now sits at almost 1800 subscribers. 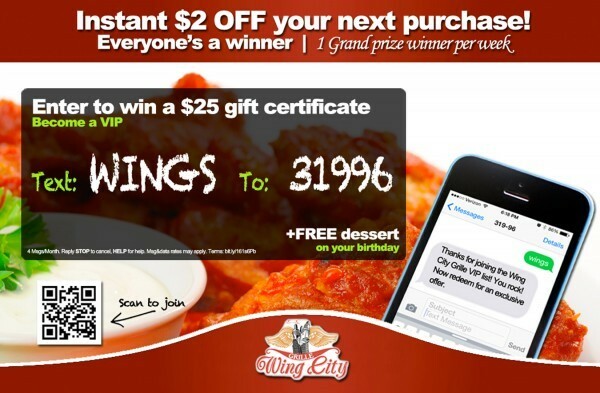 To break it down in even simpler terms, Wing City more than doubled their list size in a little over six months. Now, you’re probably dying to know – how exactly did they grow their list? We partnered with them to develop a workable and irresistible opt in incentive. Every new text subscriber was rewarded with the same offer – an instant $2 off your next purchase. We then promoted this offer across several different mediums. Wing City houses over a dozen big screen TVs, so we couldn’t pass up this opportunity. Pictured below is one of the television banners we regularly ran. Notice how this promotional graphic boasts several different exclusive offers. In addition to an instant $2 discount, subscribers also receive free dessert on their birthday and the chance to win a $25 gift certificate. Besides text to join, new opt ins could also scan the QR code pictured in the lower left hand corner. Next to television banners, we also promoted their text rewards list on social media. Then, in store, we took advantage of table tents and flyers. We used the same graphic pictured above for the table tents. For the flyers, we took a simpler approach. 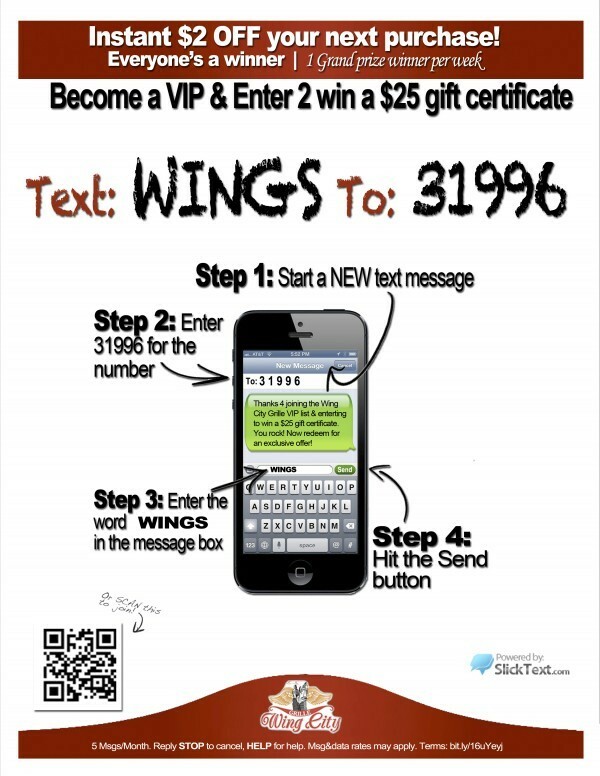 Pictured below is the in store flyer we designed for Wing City. Notice that each promotional material follows all CTIA requirements by including stated frequency, STOP and HELP instructions, and a link to detailed terms and conditions. When promoting your SMS marketing list, this is an absolute necessity. Failure to follow proper compliance could result in potential legal issues and list suspension. So, what can you take away from this awesome case study? 1. Make sure your opt in incentive is easy to redeem, and offers instant value. 2. Track every single offer redemption, as this helps you measure the success of your efforts. 3. Before you focusing on increasing offer redemption, first prioritize growing your list. 4. Always use multiple mediums to promote your list. Relying on one method decreases your chance of opt in. 5. Follow all CTIA compliance standards on every promotional material. Ready to partner up with top SMS marketing provider, Slicktext.com? Give us a call at 1.800.688.6290 to sign up for your free plan.